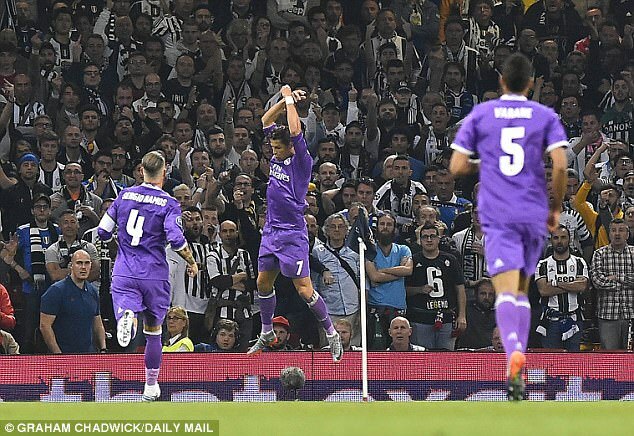 Cristiano Ronaldo fired Real Madrid to a historic Duodecima as he scored twice during the 4-1 win over Juventus at the Principality Stadium in Cardiff. There was, however, a moment of brilliance from Juventus as Mario Mandzukic’s bicycle kick levelled proceedings before Ronaldo, Casemiro and Marco Asensio ended Juve’s hopes. 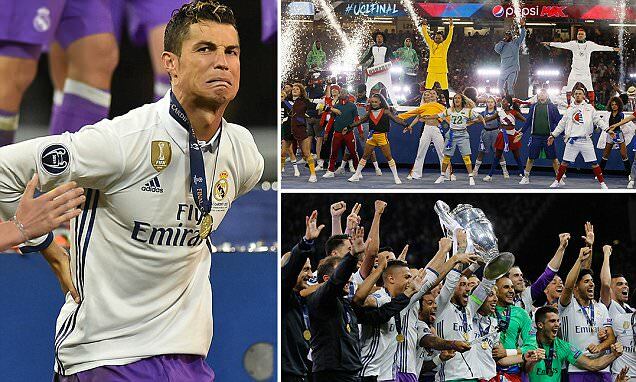 Here, Sportsmail provides you with some things you may have missed during the Champions League final in Cardiff. 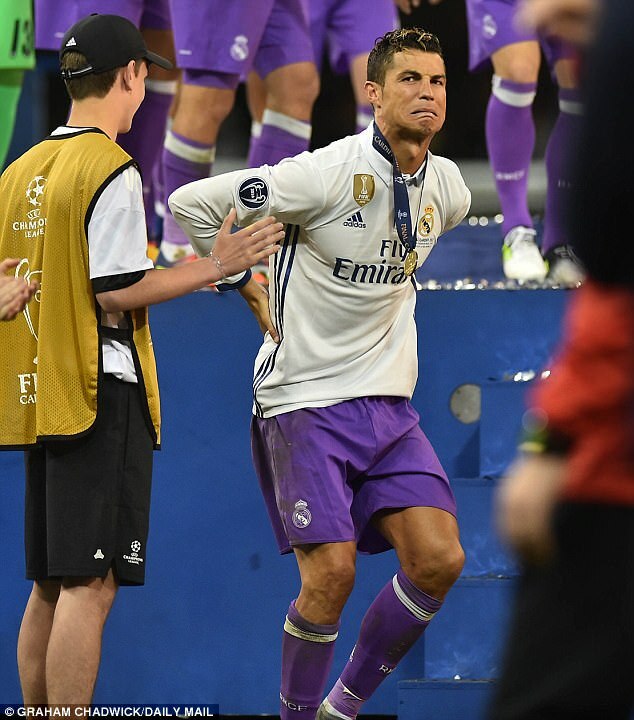 Cristiano Ronaldo showed the less graceful side of himself as the celebrations were dying down in Cardiff. The forward jumped down from the stage after lifting the trophy but appeared to injure himself in the process. He held the base of his back and pulled an unsightly grimace in the process… ouch! It’s only one of the most important nights of the footballing calendar, but we were made to wait for the kick-off in Cardiff. All thanks to the pre-match entertainment. 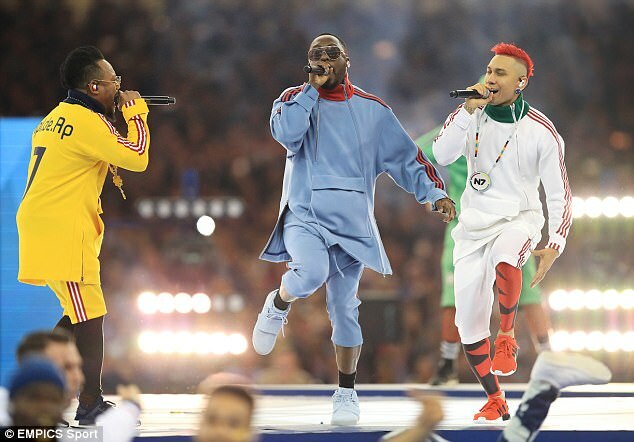 Pop band Black Eyed Peas got lost somewhere between I’ve gotta Feeling and Boom Boom Pow during their mash-up and time escaped them. This all resulted in the match kicking off three minutes late… like we haven’t waited for this game long enough! Cristiano Ronaldo has written himself into the history books time and time again — and Saturday was no different. The Portuguese has now made it three Champions League finals which he has scored in. His first goal came in the 2008 final on his way to victory and his second six years later when he netted in the final for Madrid to beat bitter rivals Atletico in 2014. 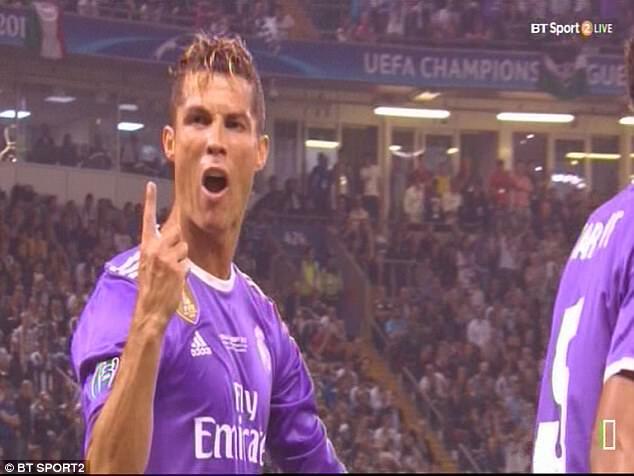 Ronaldo was as modest as ever when he netted Real Madrid’s first before the floodgates opened. He was right, though, to be fair. 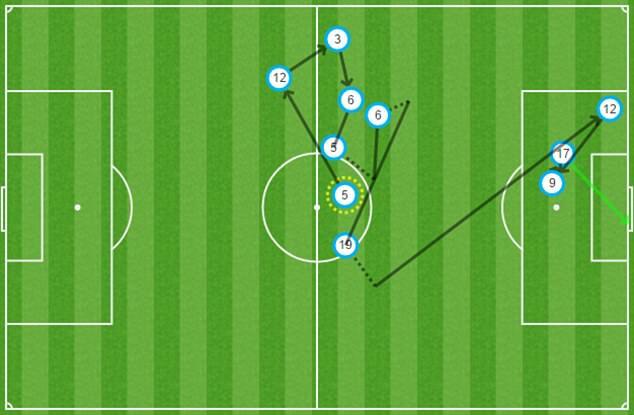 You could be forgiven for missing the incredible build-up play which preceded Mario Mandzukic’s overhead kick. Which is why we are here to tell you why it was so good. Leonardo Bonucci’s 50-yard ball found Alex Sandro who knocked it back into Gonzalo Higuian. Higuain took a touch before popping it off to Mandzukic, who chest and… you know the rest. But, they did all of this without the ball touching the ground. Better than any game of keepy-ups you could play in the park, anyway. Leonardo Bonucci to Alex Sandro, Sandro to Gonzalo Higuain then Mario Mandzukic. Easy. Anything you can do I can do better? 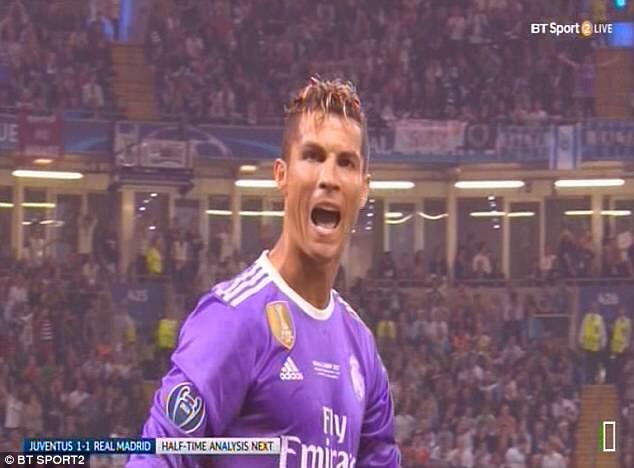 If you didn’t catch it, Ronaldo shook his head profusely after Mandzukic’s equaliser. Was that to do with the fact Madrid had just relinquished their lead? Or was it that the Croatian had just upstaged the Madrid talisman? We will leave you to decide that one. But was it a coincidence that Ronaldo attempted an incredibly audacious bicycle kick just minutes after the Juventus equaliser while being in acres of space? It was horrendous, anyway, and dribbled to the feet of the Italian defence. Madrid wasted no time in getting changed into their famous white strip after the final whistle was blown in Cardiff. The newly-crowned Champions League winners stripped off their purple away kit and donned the white of Madrid before lifting the trophy. Sharp work in quick time from the Spanish giants. Okay, so remember that Zinedine Zidane goal in 2002? The ridiculous volley which is often thought of as the best Champions League final goal of all time? Well Bayer Leverkusen, their opponents that night, remember as well. And although it has taken 15 years, and the advent of Twitter, they finally get the chance to reply. The official Leverkusen Twitter account reacted very happily to Zidane’s side having their lead pegged back by Mandzukic’s stunner. Well played, Leverkusen. Well played indeed.